We really enjoyed our stay and will return in the autumn. When would you like to stay at YHA Manorbier? With coastal views and access to stunning coastal paths and sandy beaches from its clifftop location, YHA Manorbier is a great spot for a Welsh seaside family holiday. After a recent renovation, the hostel is now better than ever, with a freshly refurbished reception and foyer for guests to be welcomed into. Whilst providing the perfect location for climbing and watersports activity breaks, other attractions nearby include Oakwood theme park, Heatherton Activity Park and Manorbier, Pembroke and Carew castles - all great for educational visits and history lovers. This 70 bed Youth Hostel has private bunk rooms for couples, families or friends. Half of our rooms are en-suite, the others have shared washroom facilities. We also have a campsite and three camping pods. 2015 saw a an amazing refurbishment to our reception and foyer area, plus we've added stylish new furniture, modern metal beds and opened up a wonderful sea view. We've also upgraded our bathroom facilities. Outside we've added a patio and self-contained camping amenities for our camping and camping pod guests. There are four tents available at YHA Manorbier which are available to book for stays between May and September. The YHA Manorbier campsite is a level field close to both the car park and the Youth Hostel. The field is surrounded by trees, hedges, willows and even a wildlife meadow and has stunning sea views. The campsite is peaceful and serene with plenty of space for children to play. Staying on the YHA Manorbier campsite means you get the best of both worlds - a great outdoor experience with all the superb new hostel facilities. Very popular with families, this campsite is also suitable for organised groups. Campers have 24 hour access to indoor showers and WCs as well as cooking facilities with a door code. We even have hairdryers for your ultimate convenience! There is a dedicated fire pit for campfires at the far end of the field. Campers are allowed to have a BBQ as long as it is safe, supervised at all times and that care is taken to ensure no damage to the grass. The main car park is just a minute's walk away from the campsite. Camper vans are accepted on this campsite and we have three electric hook ups. There are no electrical hook ups or water taps on the campsite. A torch is recommended for night time. 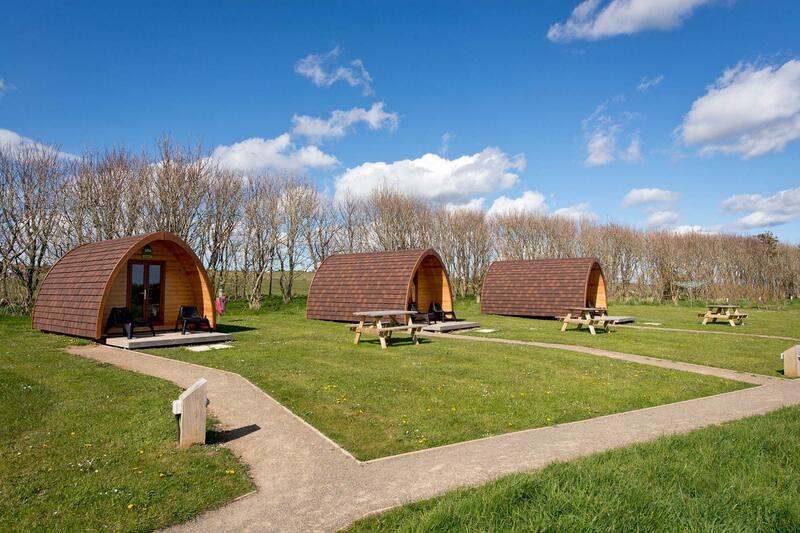 YHA Manorbier is now home to three large camping pods. If you like camping but you could do without the sun, wind or rain then this is the holiday for you! These wooden camping pods have all the fun of camping but are completely protected from the elements, and they're heated! You are welcome to use the camping facilities including showers, hairdryers, toilets and self-catering kitchen and lounge. These camping pods make for a great family break and they have space for up to four people to sleep in - including one double bed and twin single beds. Mattresses and all bedding are included for your comfort. Each pod has its own individual decking area. This hostel is occasionally made available for hire on an exclusive basis. This means that you can have the place to yourself and choose how many of your friends, family, club mates, etc., join you. We allocate availability for exclusive use in blocks, typically up to 90 days in the future. If you are looking for space to stay with us on a normal shared basis, and can’t see any availability three months or more into the future, then this hostel may be being held for Exclusive Hire. You can check availability for Exclusive Hire on our dedicated website. There is also an Annex available to hire, as well as the main building. At YHA we pride ourselves on delivering a broad selection of delicious food at affordable prices, alongside a range of freshly made hot drinks and a well-stocked bar. 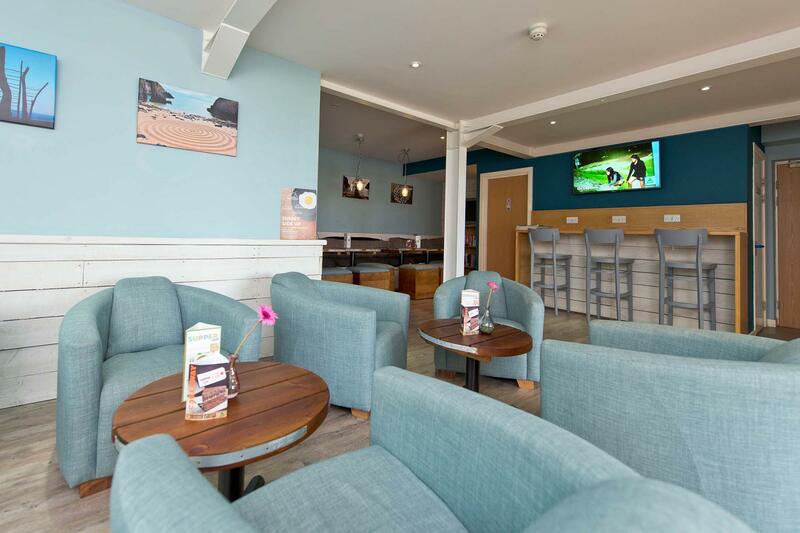 Let us welcome you to Skrinkle Beach cafe to rest your legs and indulge your senses after a coastal walk. The main watersport in the area is surfing and you'll find some of the best swells just a short walk from the hostel. Nancy Kerr, Radio 2 folk awards singer of the year is performing at YHA Manorbier this March! Booking details: Call 01646661363 or email [email protected] to book tickets. Open every day? : From 1st March to 31st October YHA Manorbier is open during weekends and school holidays for families and individual travellers. From Monday - Thursday the hostel is open for group bookings. Beds and rooms may become available three months prior to the travelling date so please check the website for more information. From 1st November until 28th February YHA Manorbier is open for group bookings and YHA Exclusive Hire. Pets: Dogs can stay on our campsite and in our camping pods. 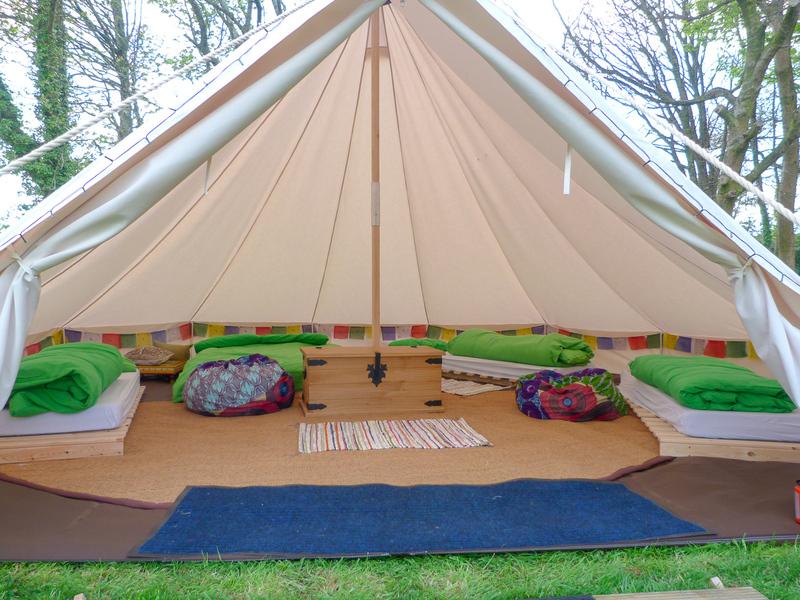 There is a £5 charge per dog per night for our camping pod accommodation which is payable upon arrival. You can bring your dog for free if you are camping in your own tent. Pets are not permitted in the hostel accommodation at YHA Manorbier however, assistance dogs are welcome throughout, please advise upon booking. To enjoy YHA Manorbier for just you, your friends and family visit our YHA Exclusive Hire website and hire out the whole property. Available for group bookings from autumn through to spring. There is also a smaller Annex available to hire, as well as the main hostel building. YHA Manorbier has a lot to offer school parties including nearby sites of historic significance as well as geography and orienteering activities. There is rock climbing and water sports nearby for schools that want to mix some fun activities into their break. 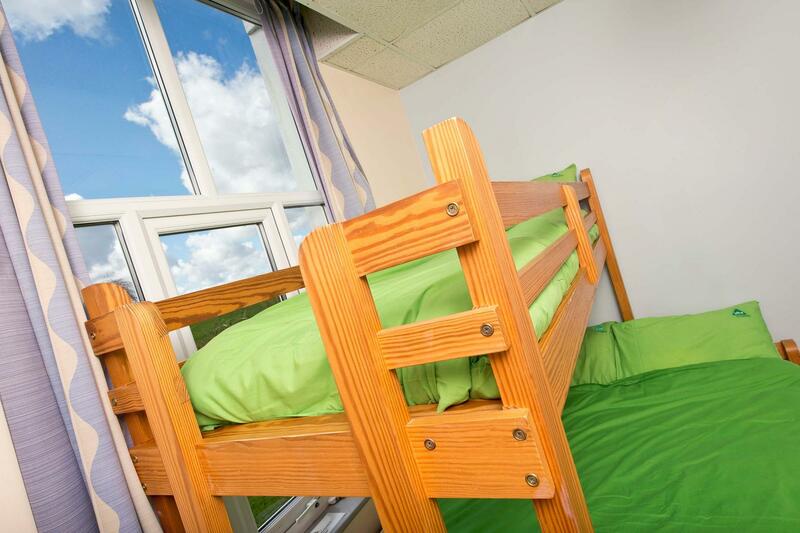 The hostel holds up to 70 people, has classroom facilities and en-suite accommodation for teachers. 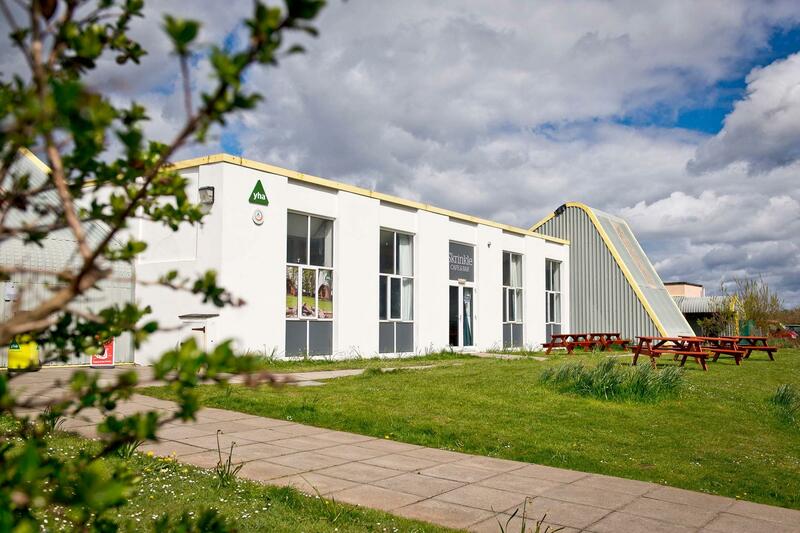 YHA Manorbier is a futuristic ex MOD building on the Pembrokeshire coast path, with great views out to sea. It has been a Youth Hostel for 25 years and underwent a refurbishment to many of its communal areas in 2015, with even more TLC and a fresh new look planned for 2016. Martin Has been at YHA Manorbier for seven years and has great knowledge of the area from exploring the cliffs and beaches during his time off. He can offer a wealth of information about secret beaches and where to go for the best surfing, cycling, walking or climbing. Manager recommends: Jump aboard a boat to Caldey Island. After twenty minutes at sea you’ll land on Priory beach - a gorgeous stretch of sand and the only place to go sea bathing. You could spend the day here (particularly if you bring a picnic). Plus it’s just a short stroll to the village and monastery.